Karma Chow - Do you Cave When you Crave? / Do you Cave When you Crave? Cravings! Ah yes, we all have them, and most of the time they can be unhealthy. 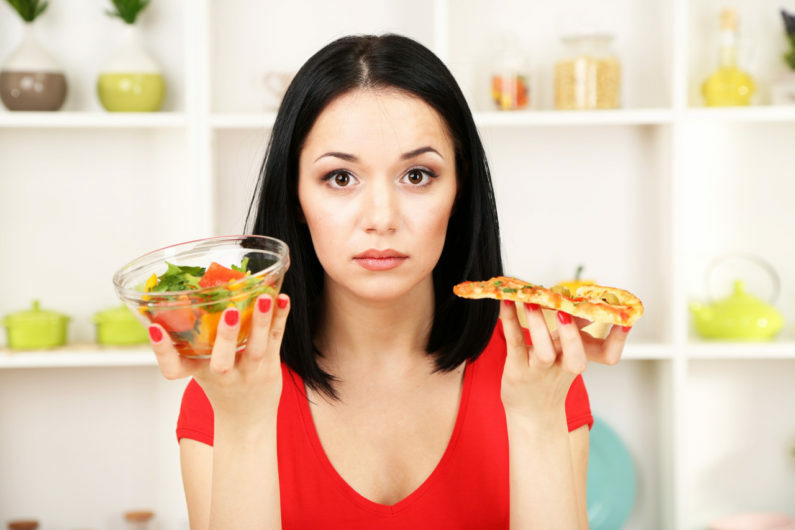 Cravings for foods that are sugary, salty, fatty, crunchy and fried are among the most common types of cravings, and as most of you know, these types of foods are usually not always the healthiest choice for us. As a wellness coach and nutritionist, I work with people coaching them on how to get rid of bad habits and create new, healthier ones. I help them to recognize their cravings and how to work through them by using many different methods, which bring them to a new state of awareness with their eating. The majority of the time our cravings are emotional and often times the act of eating emotionally can result in a lifetime of bad habits. Think about it. When we were kids, our parents usually fed us as a reward if we did something good, or as comfort if we were hurt or sad. Our first food came from our mother’s breast, the ONE person we equated love with. So it’s no wonder we equate eating food with receiving love. And not only is that not enough, we have the large corporate food companies dialed in with scientists working around the clock to create the perfect combination of sugary, salty, fatty foods. These foods stimulate the feel good centers of the brain and leave us wanting more. If these foods are eaten enough, they can actually rewire the brain to crave more of the same. They alter the biological circuitry of our brain (see “The End of Overeating” by David A. Kessler). Just the right combo of these three together will spark your brain into caving for your craving. And from there, habits are built. So not only are cravings emotional, but they are physical as well. But don’t fret, there are ways to alter your habits and control your cravings. You don’t have to be the one who “caves” every time there is a cookie in front of you, or a slice of wedding cake sitting on the buffet. You look at it, and you don’t really want it, but something in you goes for it, and before you know it, you have finished a huge hunk of cake. It’s that feel good center of your brain that remembers how it felt when you had this decadent combo before. You have rewarded that behavior. The pathway that you have created from eating so many of these types of foods in your lifetime is activated and then you want more. But you can control your cravings, and although it may seem daunting at first, these three simple steps will change the way you relate to food and yourself. 1. Recognize your craving and what is driving it: stop yourself before going for the food; take three deep breaths and ask yourself what is driving this craving. Are you really hungry? Or are you making an emotional choice? Get quiet and listen. A lot of people will go for food when they are stressed, sad, lonely or emotional. If you feel any of these things, or you just experienced a stressful situation (a fight with your partner, unwanted news, etc. ), tell yourself that food is not the answer and then reach out to a friend, write in a journal or take a walk around the block. 2. Plan your food each week so that you know what you will be eating and how much: Take time each week to make a menu of what foods you will be eating. Make healthy choices and know that eating healthy foods will bring you a sense of prolonged wellbeing versus the instant gratification you get when eating the “cave” foods. Eating healthy foods will begin to crowd out the bad foods and create newer, healthier habits. 3. Take contrary action: Do the opposite of what you’ve always done. I learned this awesome and very powerful slogan in a 12-Step program and it changed my life. Anytime you find yourself wanting to indulge in a craving, take an opposite and healthier action. Instead of eating candy, grab a piece of fruit. Instead of eating cake at a wedding, ask for a glass of sparkling water with lemon. Instead of sitting in front of the TV eating a carton of Ben & Jerry’s, pull out your yoga mat and do some stretches instead. The very act of doing these healthier and contrary behaviors will start to rewire the brain and you will find that you will start to crave the bad foods less, and crave the better actions you are engaging in. Your brain will start to connect stretching in front of the TV as a positive and from there, you will continue to build on this foundation to a healthier way of life. I know that controlling cravings isn’t easy. Believe me, I have been on a lifelong journey learning how to give my body what it really needs, versus what I think it wants. I have found that the healthier I eat, the less and less I want these unhealthy foods that don’t serve me. It’s a process and a journey, so remember to be gentle with yourself and just take one positive step forward when you find you might Cave to what you Crave!